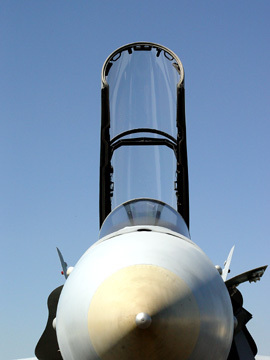 Description: All-weather fighter and attack aircraft. 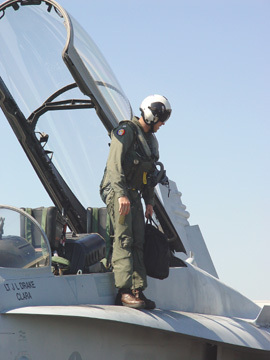 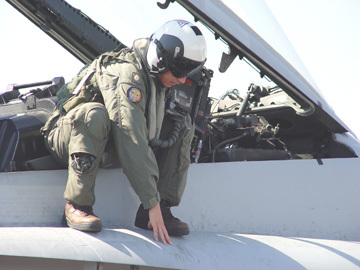 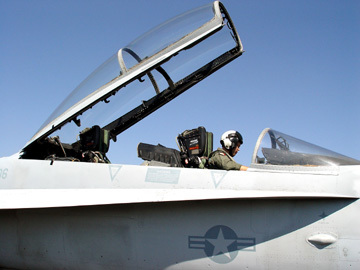 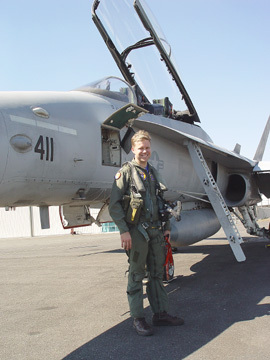 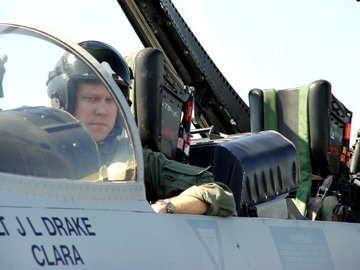 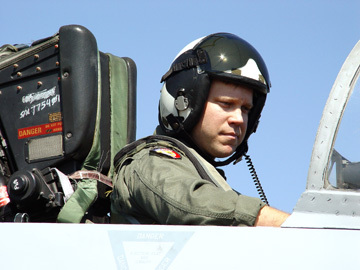 The single-seat F/A-18 Hornet is the nation's first strike-fighter. 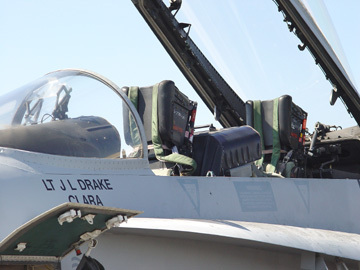 It was designed for traditional strike applications such as interdiction and close air support without compromising its fighter capabilities. 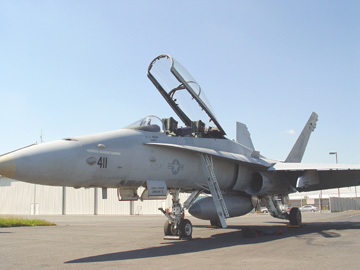 With its excellent fighter and self-defense capabilities, the F/A-18 at the same time increases strike mission survivability and supplements the F-14 Tomcat in fleet air defense. 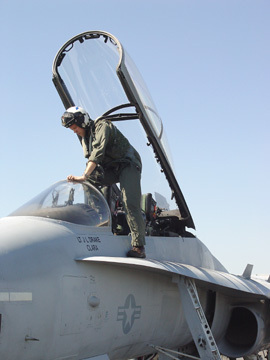 F/A-18 Hornets are currently operating in 37 tactical squadrons from air stations world-wide, and from 10 aircraft carriers. 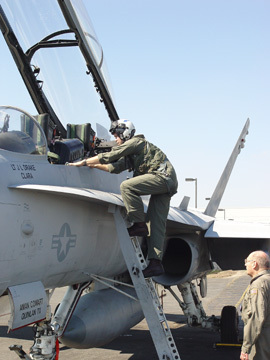 The U.S. Navy's Blue Angels Flight Demonstration Squadron proudly flies them. 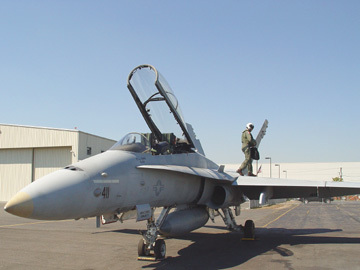 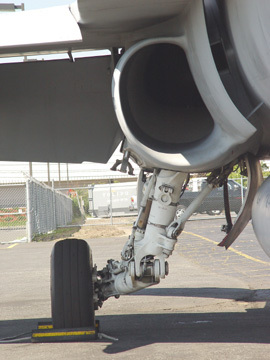 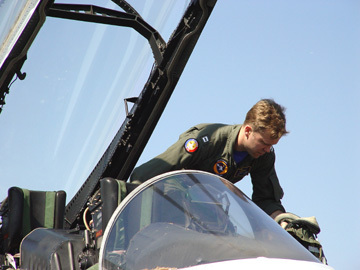 The Hornet comprises the aviation strike force for seven foreign customers including Canada, Australia, Finland, Kuwait, Malaysia, Spain and Switzerland.